As you know I love Lush Cosmetics, from my previous post where I trialled the Cosmetic Warrior Face Mask. They are an awesome company that specializes in natural, cruelty free and vegan beauty products. Their range is innovative, fun, smells delicious and ever expanding. The fresh face masks are one of my favourite items in store. They are only made in store and sold the same day. They contain no preservatives and have to be kept in the fridge. 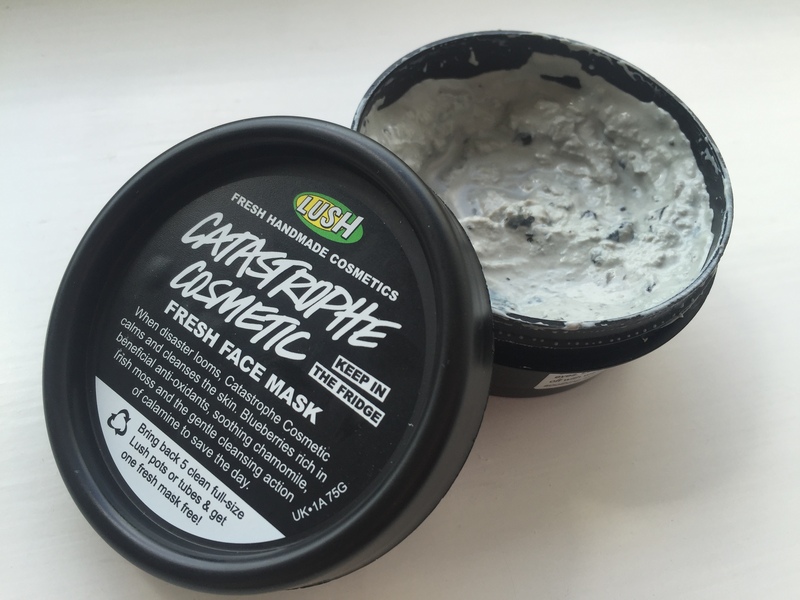 I decided this time to opt for the Catastrophe Cosmetic fresh face mask. This is a calming and moisturising face mask which is packed with blueberries, calamine and chamomile, rose and almond oils which soothe and soften the skin. Blueberries are rich in vitamins and minerals, including antioxidant vitamins A, C and E which protect the skin from damage, such as pollution. The mask is rather watery when you first open the tub. That’s because the mask separates when it’s sat for a period of time as it contains a lot of the natural juice found in the blueberries. All you have to do is mix it up and you have the perfect consistency. The mask is quite thick however it is easy to apply. The only downside was that there seems to be less of this mask than any of the others. I think you may only get around 3 or 4 applications with this one, which doesn’t overly justify the £6.50 price tag. I love the cool feeling when this is applied to the face. Immediately you can feel that it’s going to work wonders on your skin. After about 5 minutes, the mask starts to dry and it feels rather tingly on the skin. I leave the mask on for 10 mins then wash it off with warm water and use a wash cloth to remove any residual. After about 5 minutes, the mask starts to dry and it feels rather tingly on the skin. After removing the mask, my skin felt cleaner and refreshed. Sadly, the next morning I woke up with a few blemishes that weren’t there the day before. Unlike the Cosmetic Warrior which seems to combat pimples and leaves skin cleaner for days, this didn’t really have the same effect unfortunately. I’m hoping that through the next few applications of the mask my skin will be completely clear. Failing that, I think I may have to resort back to the Cosmetic Warrior. The positives of this mask are that it will refresh, cleanse and brighten your complexion. Remember that these masks are fresh and therefore have to be kept in the fridge. They last about a month after purchase and have a label with a use by date on it. This is definitely one of my favourites! Another great thing is that if you save up five of your empty pots you’ll be rewarded with a free fresh mask. Bonus! Let me know if you have tried any of the other fresh face masks or what your favourite Lush products are. I really like Lush face masks! Never tried this one though! Shame you never got on so well with it! I do love the Cosmetic Warrior though! Its great! I love it! I was thinking about trying this one, so glad that you reviewed it! Sadly my skin reacts badly to tea tree oil, so that one isn’t an option for me. I need to find one, I haven’t used any of the lush ones in a very long time, but I’d love to find one that will work with my weirdly sensitive skin! I don’t think I’ve tried Origins. I’m hoping to find a mask with as much natural / organic ingredients as possible – so Lush is probably my best option in terms of ingredients and price. 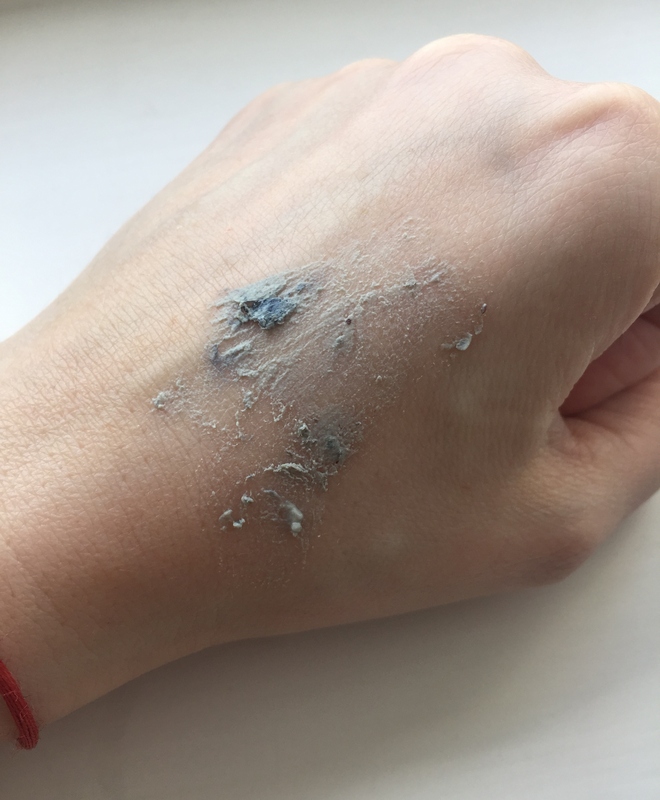 I did try two samples of Glam Glow – Supermud and Youthmud. The Youthmud one made my skin burn immediately. I haven’t tried much of Lush face masks due to being so pricey, but if I could sample a few that are suited for my oily skin it’d be great! Haha. Great photos! I love Lush masks, but never tried this one. The Brazened Honey is my fav! I am a hoarder when it comes to LUSH. Absolutely love their products and they feel great on your skin. 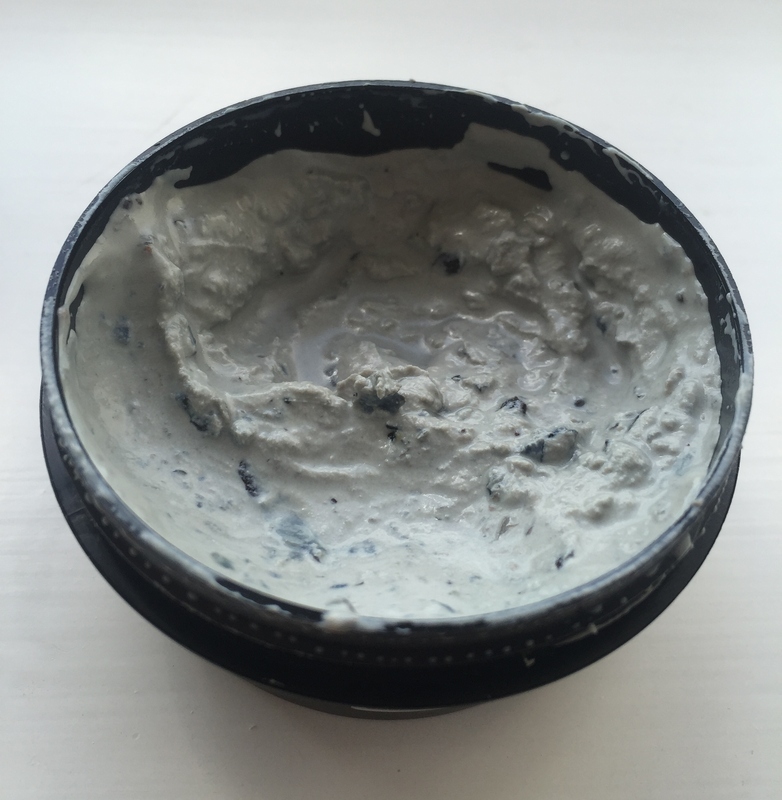 I have only tried one fresh face mask: BB Seaweed and it was amaaazing! As for my favorite products I love the bubblegum lip scrub, buffy body butter and the ocean sea salt scrub. The list is endless but those would be my top three!